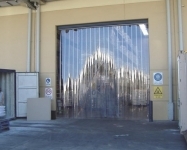 Strip Doors, also know as strip curtains, pvc strips or vinyl strips, are an economical barrier to separate two spaces, improve traffic flow, provide protection against noise, wind and dust, and are often used in cooler and freezer applications. Strip doors are the economical answer to a range of problems. 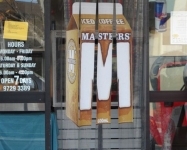 They allow your business to keep flies and insects out while remaining inviting for customers to come in. There are numerous advantages to using a Strip Door. Lets expand on this a little more to prove to you the benefits. Time proven, low maintenance, reliable and cost effective. Strip Doors are the cheapest way to mitigate loss of energy, or heat-gain into a controlled temperature environment such as a cool room or freezer. Even just an air conditioned building with an open door, will have heat and/or cooling loss that can be reduced with a Strip Door. A Strip Door is also one of the most effective barriers, because it is ‘always closed’, it only opens to size of object entering, compared to doors that open fully each time an object enters. Save energy by minimising loss of heated or cooled air at unprotected openings; PVC Strip Doors prevent up to 80% to 90% of air loss that occurs with conventional doors when main doors are opened or left ajar and yet Strip Doors ensure easy pass-through by pedestrians and vehicles alike. Also, stabilizing the air temperature enhances hygiene and separation. In refrigerated areas, temperatures remain stable. Experience less shrinkage, product spoilage, less frost build-up on coils, and reduced wear and tear on compressors, motors and switches. 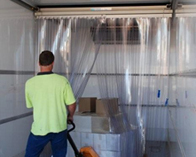 Isolate noise from equipment, work stations and loading docks from other work areas. 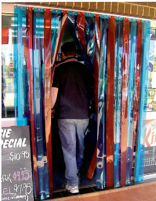 Designed using the best quality PVC rolls in Australia, the transparent Strip Door or Strip Curtain has been proven to reduce noise by up to 17 decibels in certain applications. Try it for yourself and you can reduce street noise while remaining inviting for customers. Such as dust, dirt, smoke, fumes and draughts. PVC Strip Curtains help you create a cleaner and more efficient work environment by preventing the movement of dust and other contaminants from one area to another. With Strip Doors, you can cover door openings, both large and small, yet ensure easy pass-through by a technician, transport cart or forklift. By keeping temperature and humidity under control in a cost-effective manner whilst maintaining easy access and natural light into your site, employee comfort is increased which we all know leads to a better and more comfortable team environment and therefore increased production from staff. 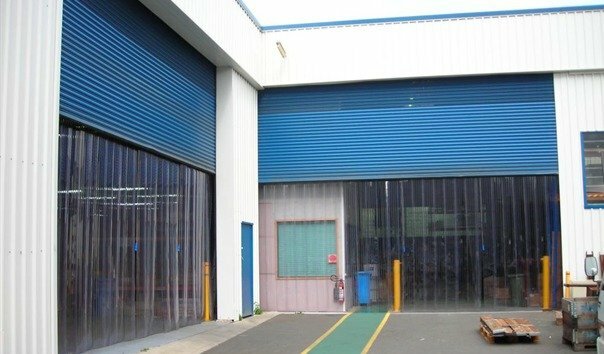 From the smallest cool room opening to the largest industrial warehouse facility Strip Doors provide solutions for hygiene and energy control. Warehouses, food service facilities, manufacturing plants and health care organisations are a few of the customers who are saving energy and protecting their employees, products and investments through the use of Strip Door barriers. The Remax Strip Door has a temperature range of 0 - +50 degrees celsius for normal grade PVC and -45 to +50 degrees celsius for freezer grade PVC. Providing a range of PVC for use in ambient temperatures, cool rooms and in freezers. Transparency provides excellent visibility for through traffic, which means no delays while doors are opened or closed and reduced risk of collisions. When it comes to PVC doors in Australia, Remax have all bases covered. Between inside and outside or between different work areas, PVC Strip Doors create a barrier against flies, insects, vermin, birds and other pests from entering your site without having to reduce natural light and the efficiency of having an open door. 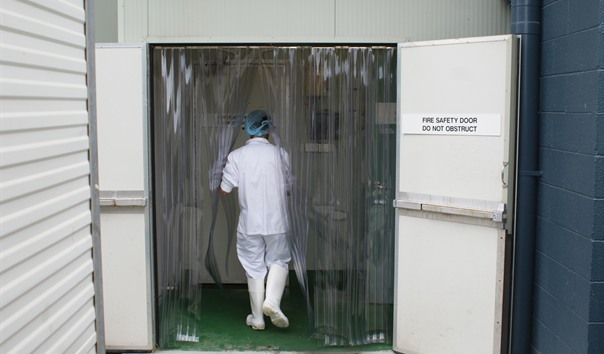 We all know the contamination problems which can be caused by insects and birds, especially in the food sector but also various other industries where stock and equipment is left uncovered. Read more about contamination problems here. A simple and cost effective barrier such as a Strip Curtain provides an added layer of protection where possibly non existed before; i.e. if you had an open door or a standard shutter which closes sometime after the forklift / vehicle has entered the bulding. So, when you want a door that can more than stand up to the rigours of constant use and a range of other PVC doors in Australia, speak with the experts at Remax. We also provide our doors in a fantastic range of colours. Choose from blue, red, yellow and of course, clear. You may want to combine these colours to create your own look, the choice is up to you! 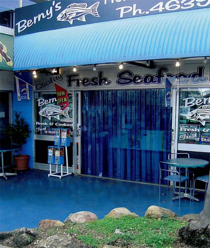 Remax Strip Doors are manufactured in Australia and the ordering process is simple! Simply measure the inside of your doorway, height and width. Give Remax a call on 1800 010 221 and we can give you a quote straight away. Your new Strip Door will be manufactured within 24 hours ready for delivery or installation. Installation is easy, however we can provide a service representative to install your door for a nominal fee.